but I'm not that surprised since That Mother is truly one of the craftiest people EVER! I don't have step-by-step photos of the process, since That Mother and Friend Patti were a little busy assembling these just a few days before the wedding to take photos. I did manage to grab a few shots of the basic elements before they were assembled however, which should give you enough of an idea to recreate your own version if you so choose. We originally were going to create these mounds of floral foam covered with moss (it doesn't really make sense to me now either), but That Mother stumbled on these "vases" for something like $2 each. We had lovely intentions of staining them a kind of bronze color, but that didn't happen, and I think they still look okay. The crystals are threaded through a thin wire, and were purchased in a huge roll at the wholesale warehouse. 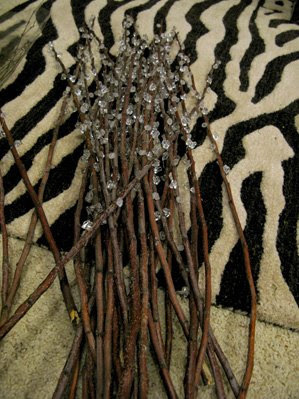 We toyed with the idea of purchasing sticks at the warehouse, but the prices are insane! Instead That Mother and Friend Patti headed out to a nearby abandoned orchard with some wood cutters and snipped away. They then cut lengths of crystal and wrapped them around the sticks. 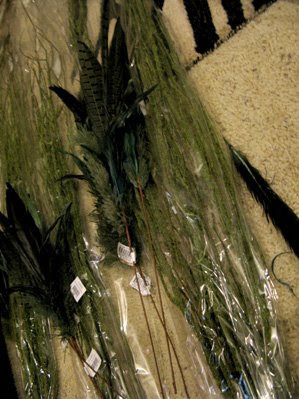 The feathers and moss were both found at the wholesale warehouse. The feathers were stripped from their sets to make them go a little bit farther. I wasn't a huge fan of these when we purchased them, but That Mother insisted we needed some color and sparkle (she was right, as usual). They were also stripped down to smaller sections to be spread throughout the 12 centerpieces. 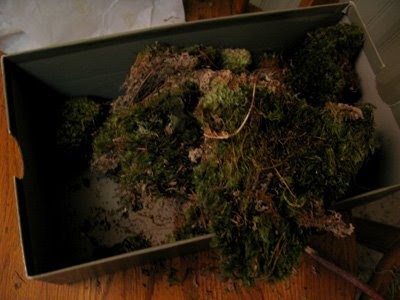 Several different kinds of moss were used, with this earthy, natural stuff being my favorite. 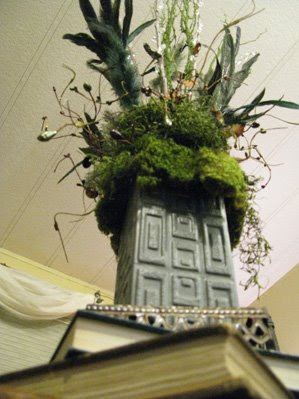 Step 1: Insert floral foam (the soft kind that is fun to poke holes in) into vases. 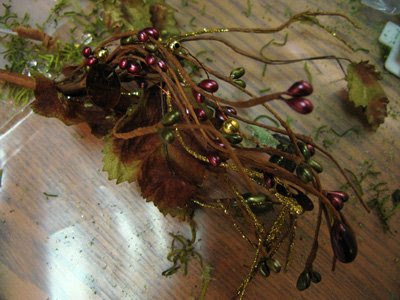 Step 2: Poke crystal covered branches and moss covered branches into floral foam. Step 3: Embellish with feathers and sparkly doodads (use hot glue gun when necessary to keep things stable). Step 4: Use hot glue to cover the base with moss. Step 5: Stand back and say "Look how pretty!" 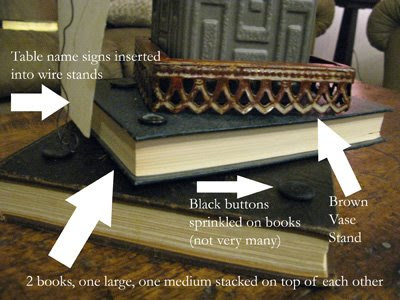 The vases came pre-assembled, but there were still more centerpiece elements to be put together at the wedding so I created this little picture guide for my DOC to use. Remember that these centerpiece elements were chosen as we scurried through the wholesale warehouse picking things out at random. 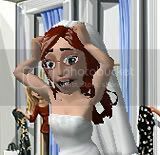 If you want to re-create your own version it would be very easy to switch out some of the elements to make it look perfect for your own wedding! Those look really cool and turned out great, Jenna. It puts me in mind of a small stream in the middle of a forest. 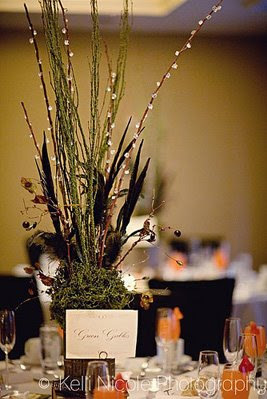 Your centerpieces are GORGEOUS. I love everything about them! 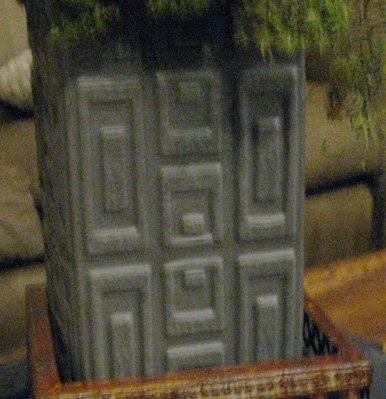 one of the best DIY centerpieces I have ever seen. Props to That Mother for envisioning that beauty within all those elements! damn good job on the centerpieces. I had no idea they were diy. They look professional. Great job! The centerpieces turned out AWESOME!! !